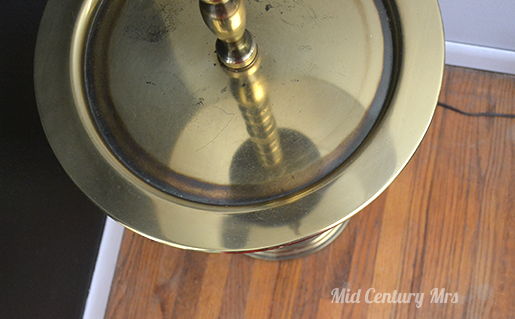 Mid Century Mrs: I love lamp. Way back in June (I think...), we were visiting my in-laws and they were showing us their soon to be installed kitchen cabinets that were still in the garage. I spotted a fun lamp off to the side... I don't really remember how the conversation went, but it was from my husband's grandmother's house and his parents were asked to get rid of it. I'm guessing that meant drop it off at Goodwill or something. It wasn't exactly what I would have picked out, but I wanted it and it was free. 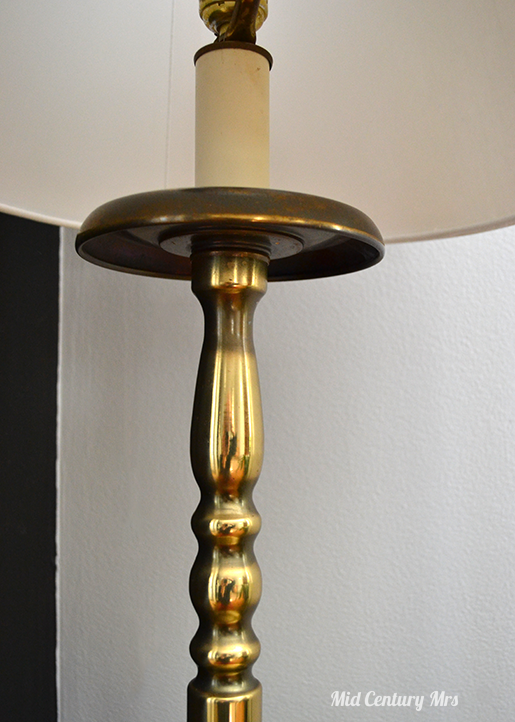 I thought it would be perfect to replace the last Ikea lamp in the living room and it would add to the antique brass that I've been slowly adding. 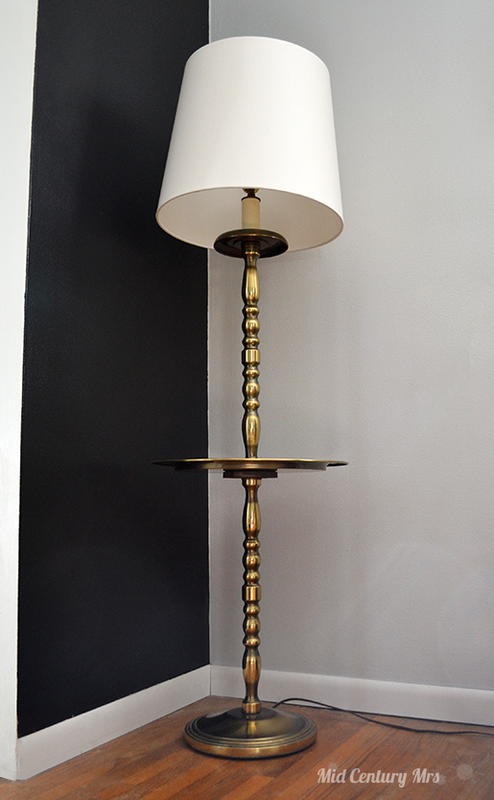 My husband even made a comment about how it would save him a lot of money from not having to buy a lamp… which would probably have been over $100. So, we vowed to grab it the next time we were over (drove a too small car that day) or they would drop it off if they were in the neighborhood. Neither of those things quite happened for quite awhile... for months actually. A couple of weekends ago, while we were out exploring, we got a call asking if we were home. We weren't, so we had a nice surprise waiting when we got home. The next weekend, I made it over to Target and found a lampshade for about $20. I was surprised they still sold the kind that attach to the wire piece that goes above the light bulb. I thought I was going to have to rig together something to make the 'attach at the socket' kind work. I like it. Something is bent somewhere in that lampshade wire contraption and I still don't have it quite right... It looks fine at some angles and not at others, I try to fix it and it looks fine at different angles and not at some other ones. Weird. I tried to see if I could find any info online about it, but I haven't been successful yet. I don't have much to go off of either… I haven't been able to find a maker's mark yet.